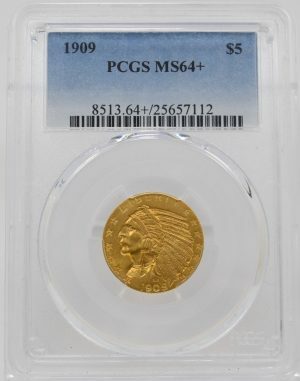 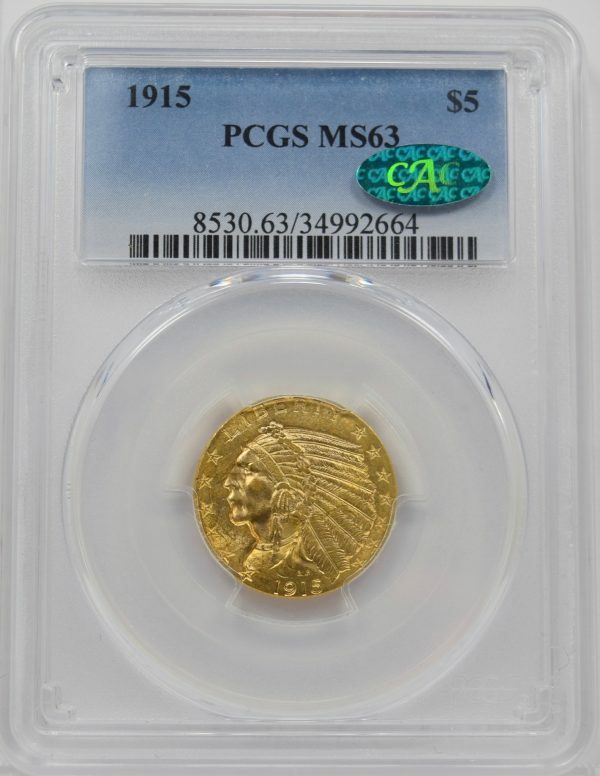 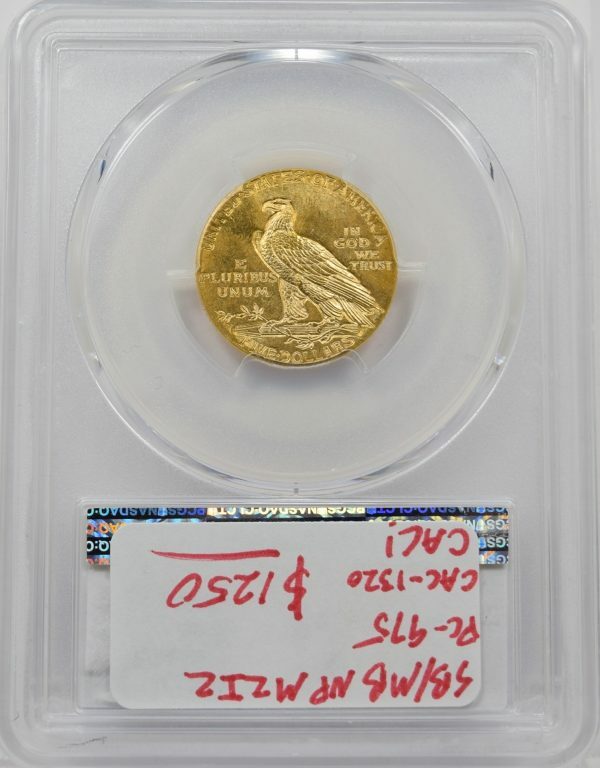 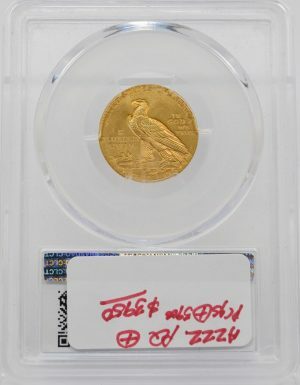 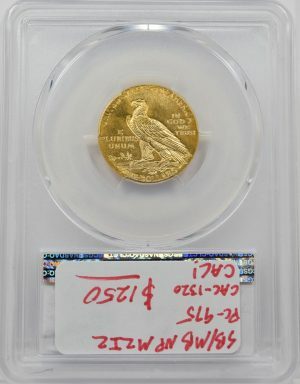 This 1915 PCGS MS63 CAC $5 Indian, is stunning. It has bright, lustrous surfaces with a PQ look. CAC Approved!